From Hand and Heart: Paper Sweeties October 2016 Sneak Peek!! 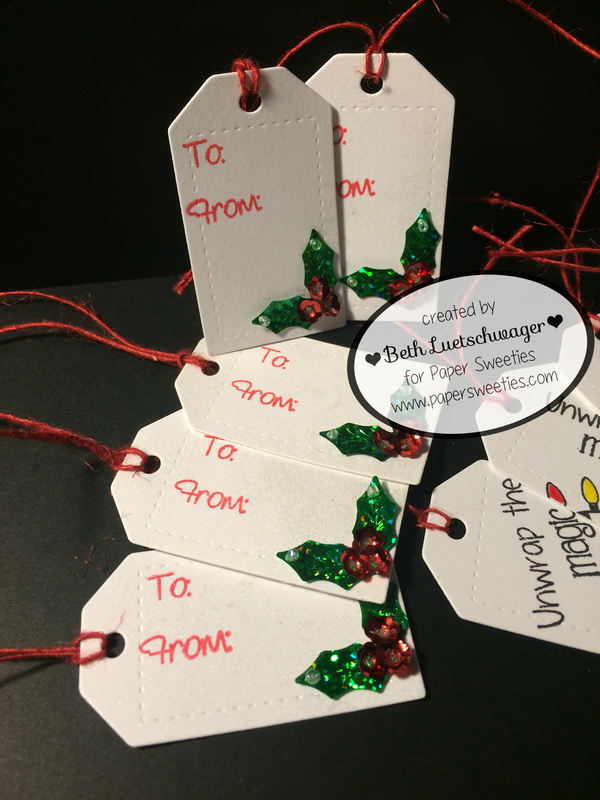 Adorable Christmas tags my dear! So sweet! 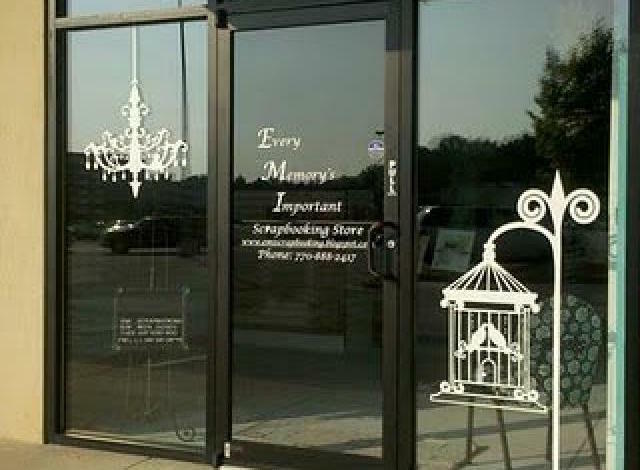 This is great idea for tags! I love this! Your tags are so pretty! I love how you used the string of lights! 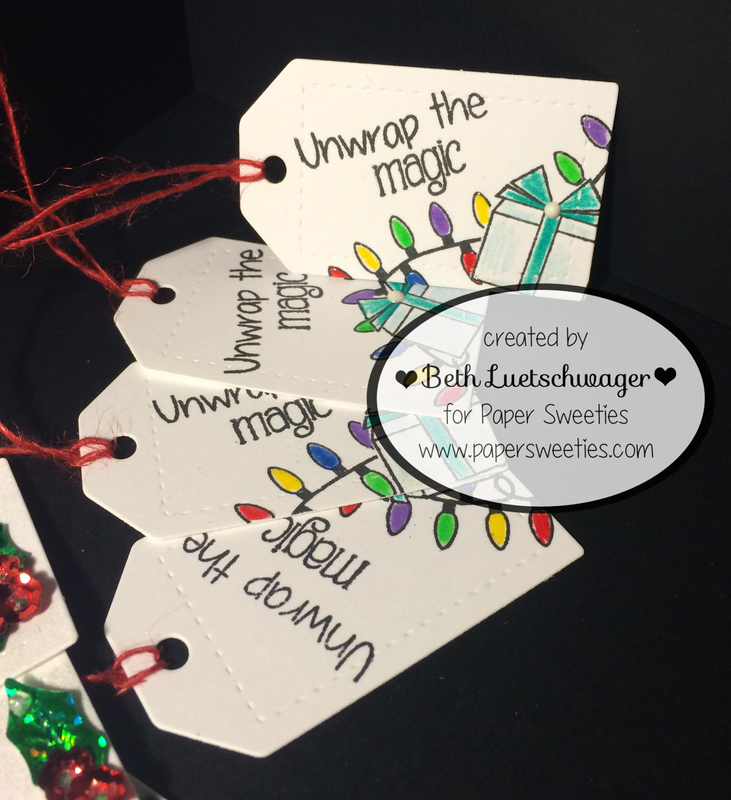 Fab collection of tags...so pretty!!! 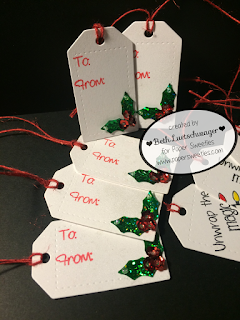 Super cute tags, Beth! Love how you used the sentiment perfectly for a gift tag. 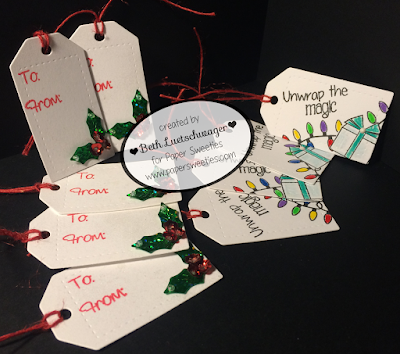 A-dorable tags, Beth -- love the present and string of lights tag!